If you think you have Tinnitus, be sure to see an audiologist so that they can determine which type you have. Tinnitus is a common condition that causes a ringing sensation is someone’s ears. It can come from a sudden loud noise or certain medical conditions can be either temporary or chronic. Though it is common, everyone’s Tinnitus is not the same. Here are the four different types of Tinnitus. Caused by exposure to a sudden loud noise or loud noises over time, Subjective Tinnitus is the most common form. With this type, you are the only person that can hear the ringing in your ear. It varies in how long it lasts and the intensity. This type is treated with a hearing aid that plays a soft noise to distract you from the ringing or buzzing sound in your ear. This form of Tinnitus is usually a side effect of a damaged auditory system. This is actually a type of Subjective Tinnitus because only you can hear the ringing sound. However, rather than loud noise being the cause, it’s normally caused by a disorder that impacts the way your brain processes sound. Because of this, you may feel off balance at times if you have this type. 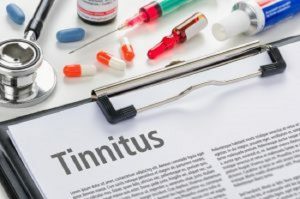 There is no cure for this type, but there are tinnitus management programs that can help tame the symptoms. Also known as Conductive Tinnitus, this type is caused by external functions rather than internal ones. This means the ringing can sometimes be heard by other people. The ringing comes from certain physical movements such as muscle spasms in the ear or neck. WIth Somatic Tinnitus, motions such as turning on your pillow can cause the ringing sound. Dental problems can also cause this type of Tinnitus. Sound and massage therapy can be helpful for this type. This is the most rare form and is the only one that can always be heard by outsiders. This means that when your doctor uses a stethoscope in your ear, they will actually be able to hear the ringing that you hear as well. This type is often constant, the sound often matching up with the beat of your heart. This entry was posted on Friday, July 20th, 2018 at 12:31 pm. Both comments and pings are currently closed.